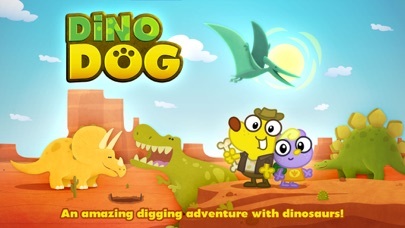 Home » Education » Dino Dog - A Digging Adventure with Dinosaurs! Like the other reviewers, have the same issue where the game locks up after the first 4 Dinos. Anyone found a solution? Keep hoping the devs release an update addressing the issue. They did a good job for the intro at least. 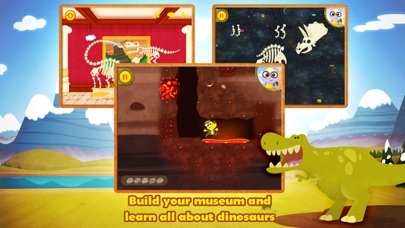 Cute game, my 4 year old loves it but there is a glitch that won't let you advance past the 4th dinosaur on the first level past the museum. It gets stuck while dusting off the tail of the Dino. The intro graphics are a bit too long. 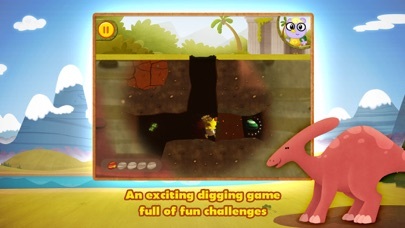 The game freezes at the end of the first level. Too bad this would have been super fun. My now 4 year old son would say this is one of his top 5 games. He has been playing it since he was almost 3 and has enjoyed it tremendously. He obviously needed some help in the beginning but now he just loves it! 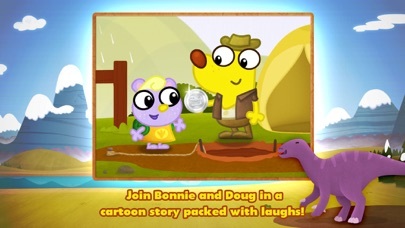 Thanks for making a fun, Dino dig game that holds his attention & allows him to discover more about dinosaurs :). We do wish you would make either a sequel or an update sometime very soon! 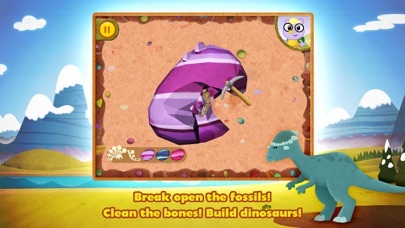 Crashes every time just before we reach the last bone for the final dinosaur #4. Very frustrating. Please fix and update app. Otherwise, first three steps fun for 5 year old. This game is really clever with a great delivery and easy to approach controls. My 4 year old was completely taken by the great characters and the fun of digging up bones and putting them together. The information about each dinosaur is great and they even come to life for the kids. We truly think this is a great title and definitely worth the price...a must own title that we hope they will continue to expand with the addition of more dinosaurs, bigger museum, and more digs. We've had 3 crashes while playing the game which is always disappointing..hopefully this can be ironed out soon.